This coming Tuesday, March 27, The Flying Squirrel will host a fundraiser/social night for Wild Trails. 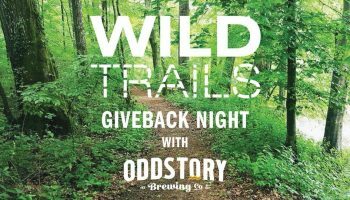 10% of sales go to Wild Trails’ efforts at trail maintenance and expansion. Come catch up with all the Wild Trails crew and swap hero stories about the River Gorge Trail Race at The Flying Squirrel, our favorite after-hours hangout.